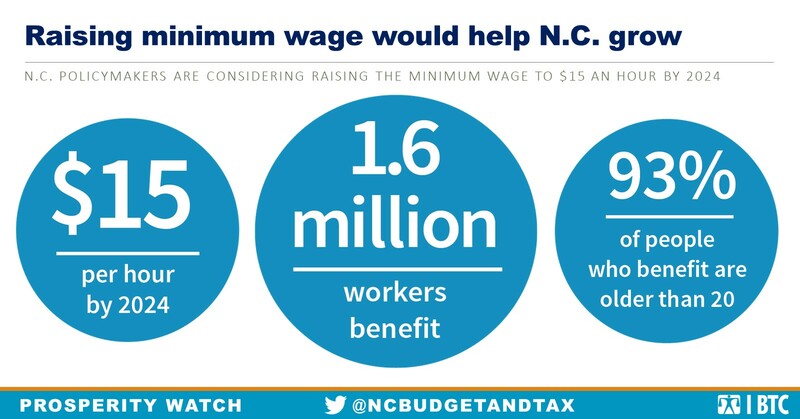 Raising the minimum wage will help boost paychecks for more than a million North Carolinians without increasing unemployment. Over the past decade, median wages for working people in North Carolina have fallen by 10 cents an hour, which over a year adds up to paychecks that are $200 smaller in 2018 than they were in 2009. Meanwhile, costs of living like food, shelter, healthcare, and transportation continue to climb. Recognizing that public policy can play a role in boosting the wages of workers, 26 states and the District of Columbia have moved to increase their minimum wage at least once since 2013. The result, as noted in the State of America’s Wages report recently released by the Economic Policy Institute, has been faster wage growth for those workers in the bottom 10th percentile of the earnings distribution. States with minimum wage increases between 2013 and 2018 saw wage growth by 13 percent, while states without any increase grew by 8.4 percent. In North Carolina, policymakers are considering proposals to raise the minimum wage from $7.25 an hour to $15 an hour by 2024.As was reported in a brief released last week, this approach would benefit 1.6 million working people in North Carolina and put them on a pathway to earning a living wage. The Economic Policy Institute estimates that these workers would earn an average of $4,422 dollars more every year as a result of the increase. This would provide resources needed to meet basic needs like the cost of quality child care for three months or rent for five months at fair market rent. 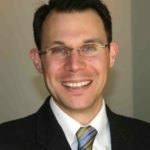 People of color — who are often excluded from higher-paying jobs due to historic exclusion, educational opportunities, and persistent discrimination in the labor market — would earn as much as $5,100 more per year, taking a significant step toward overcoming historically-rooted racial discrimination in wages. Workers aren’t the only beneficiaries of such a policy. Businesses will directly benefit from the higher wages paid to 1.6 million new customers who are most likely to spend additional dollars every year on their goods and services. In this way, wage increases translate into higher business sales, and these sales make investment and growth of companies possible.